The Banff Film Festival is coming to town on Tuesday January 29th at the Sault Community Theatre Centre. If you’ve never been, you are in for a treat. The Banff Film Festival is a series of spectacular, award winning, short films and documentaries about mountain culture, sports, and the environment. If you’ve already been I don’t need to tell you anything more…you know this will be inspiring. 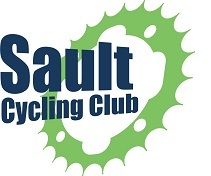 Before the show, and during the intermission, come over and say hi at the Sault Cycling Club table. We will have club information, information about SCC plans for 2019, a slide show and plenty of people happy to talk bikes, rides and trails.